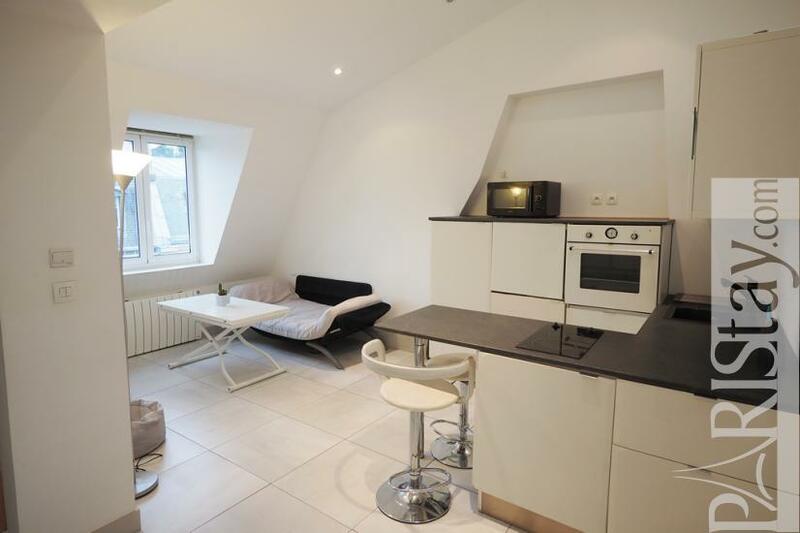 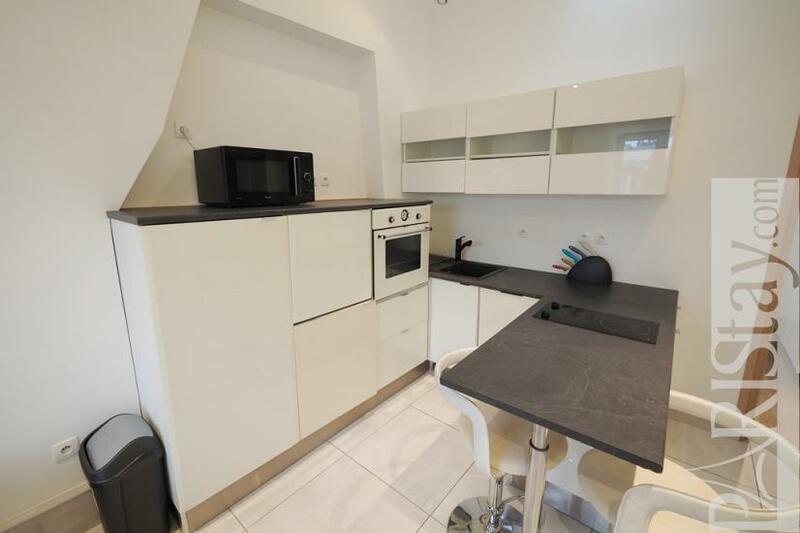 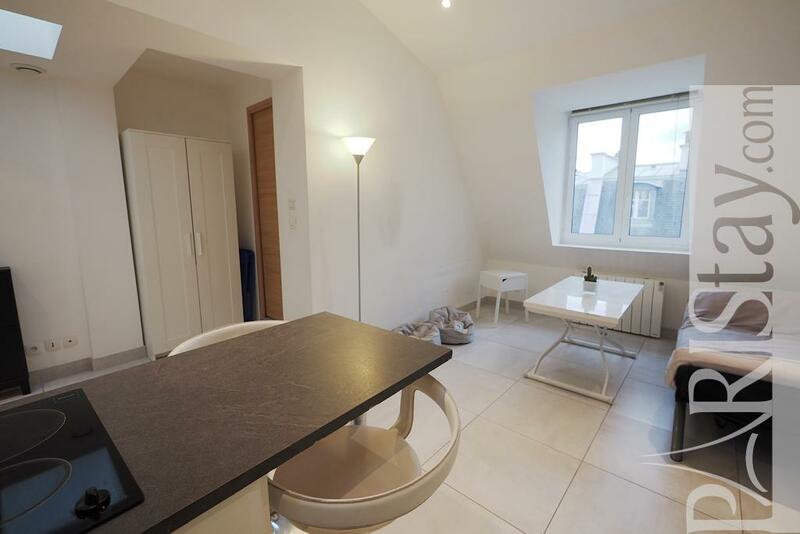 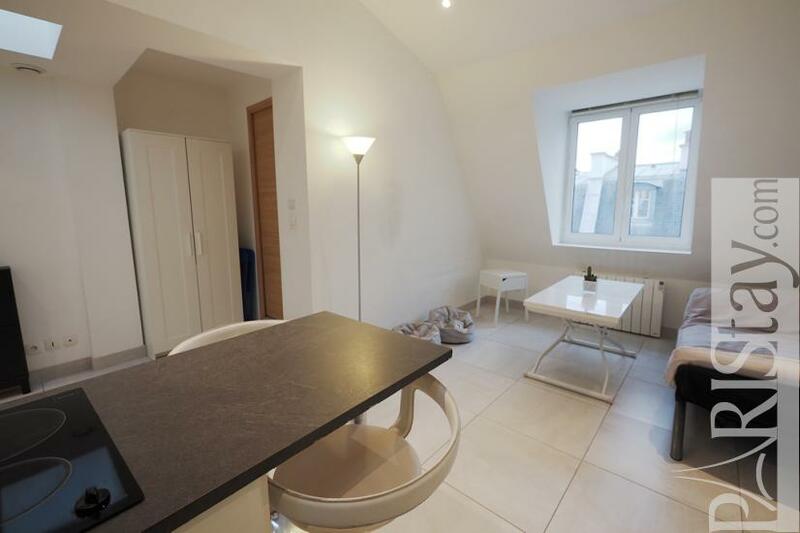 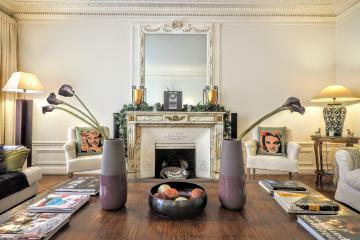 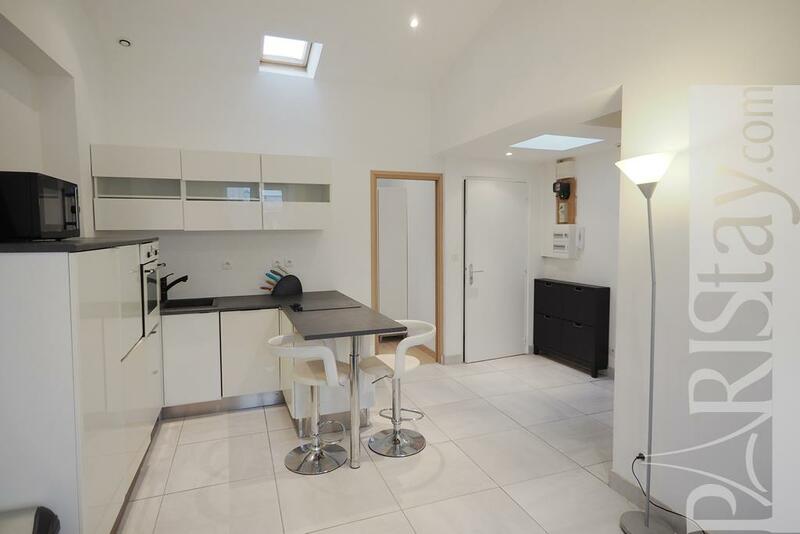 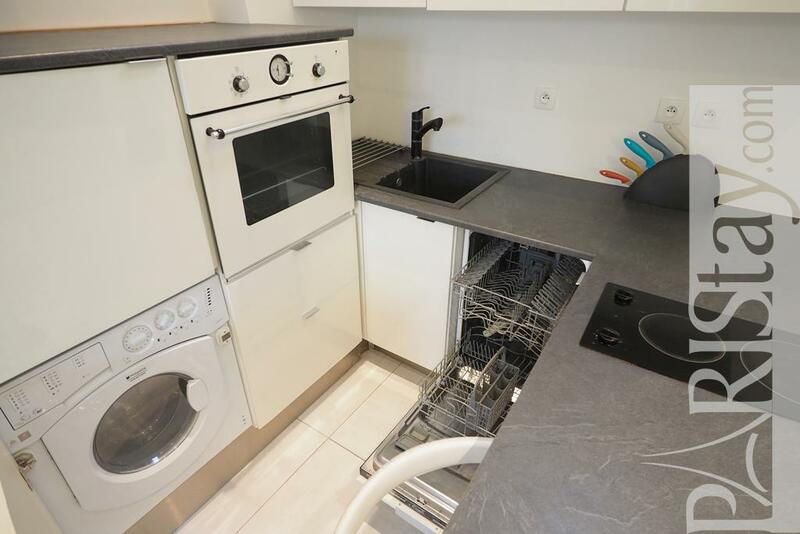 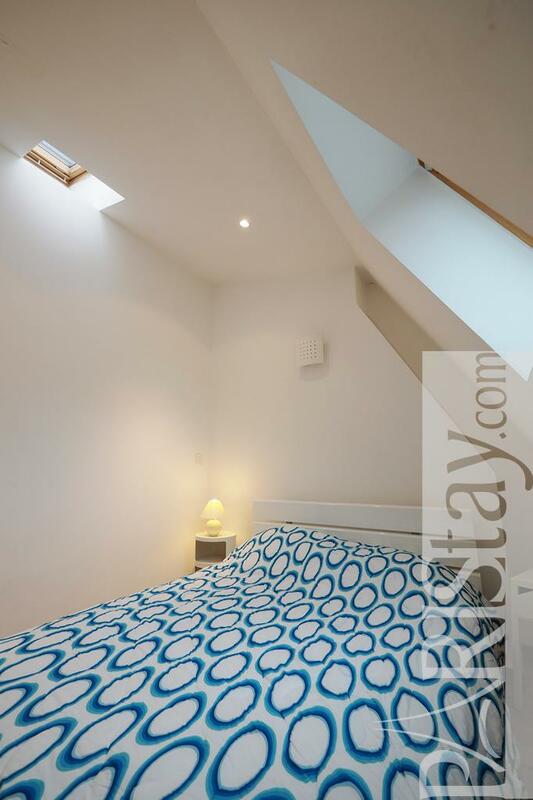 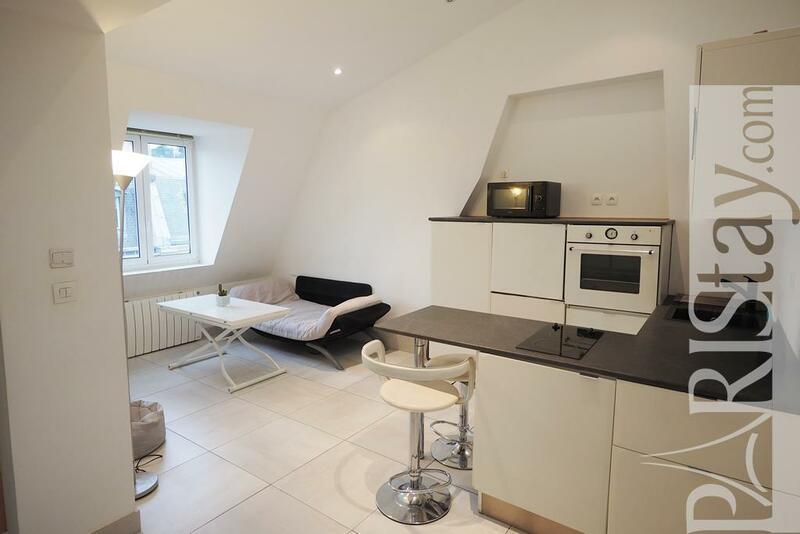 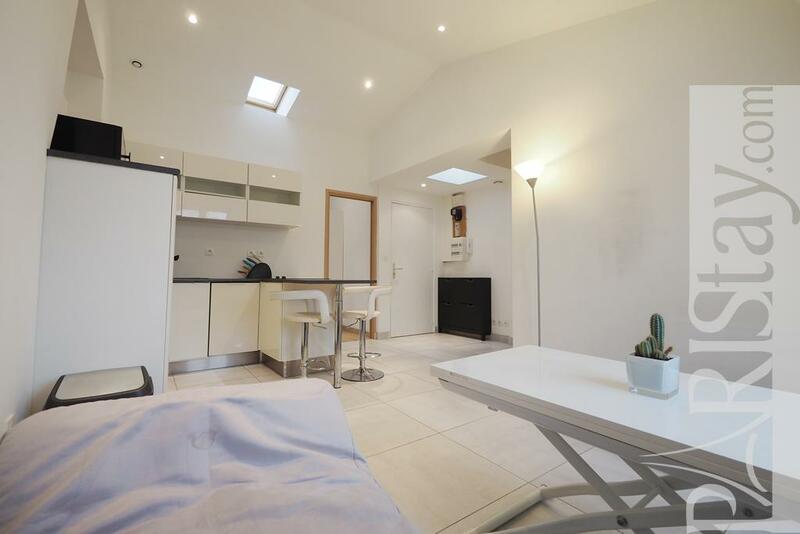 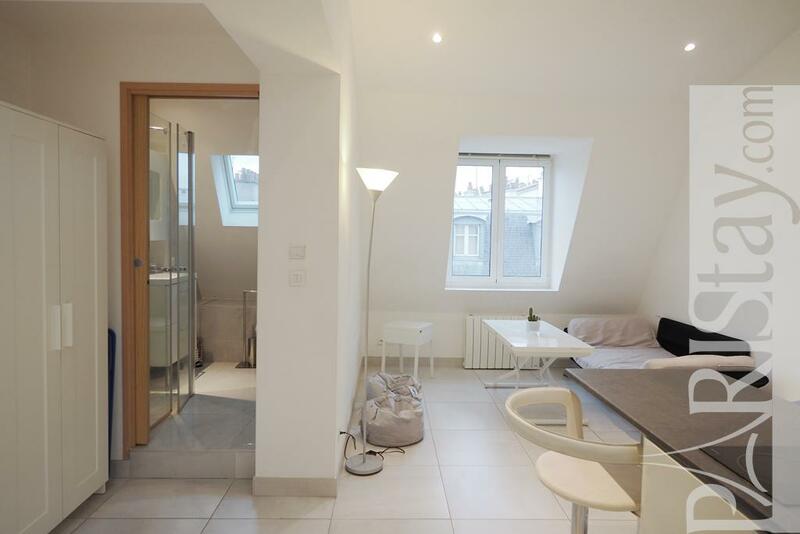 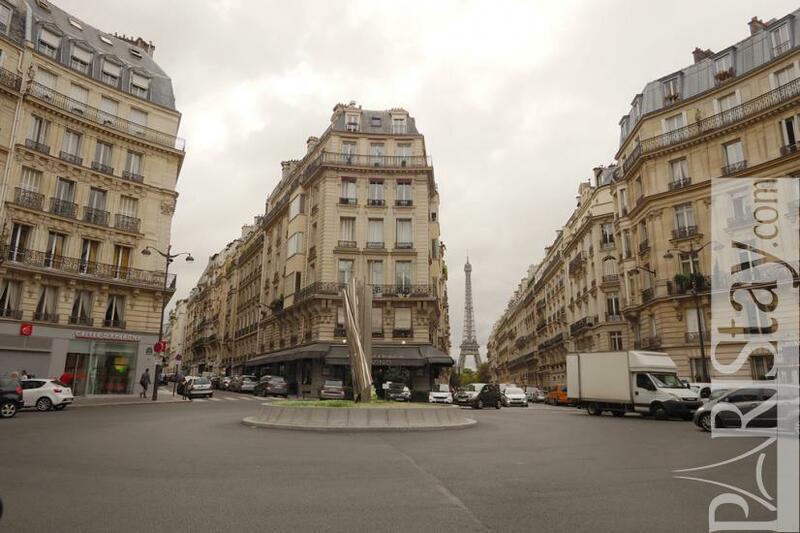 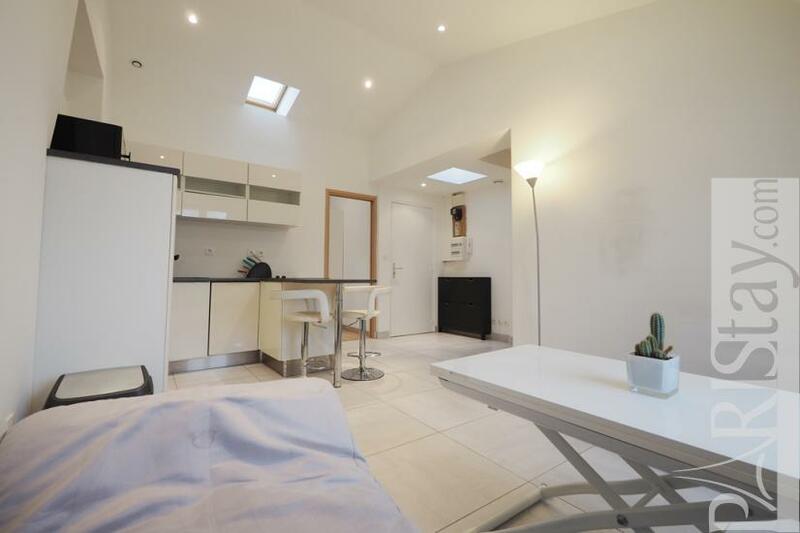 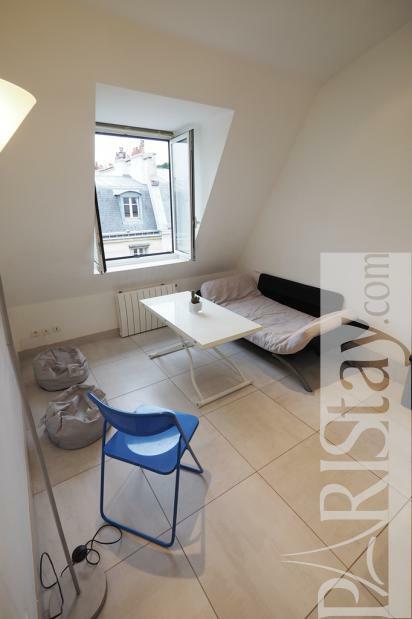 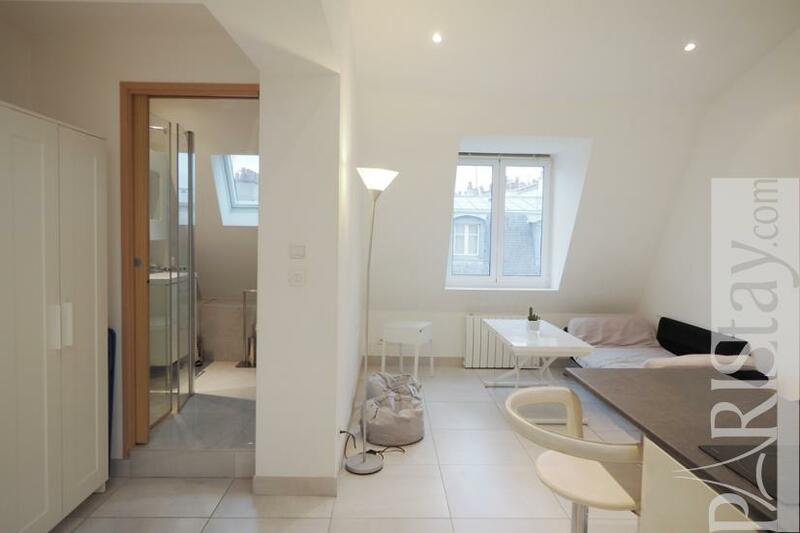 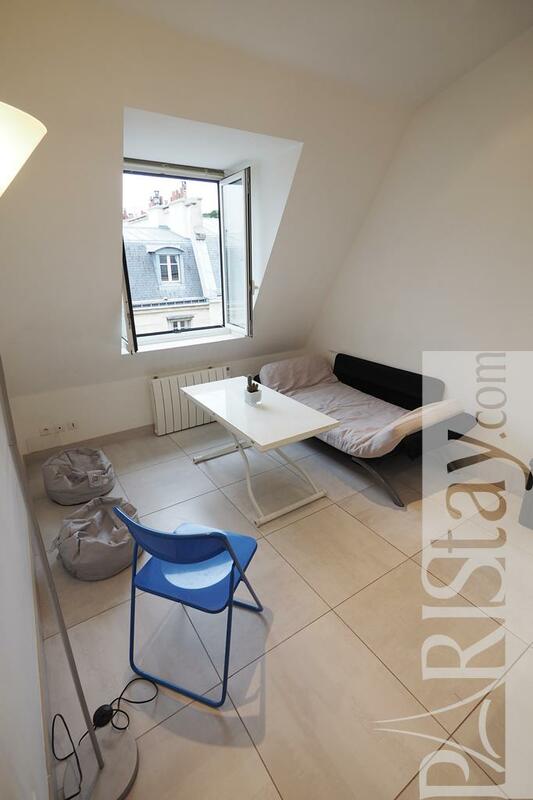 Spacious, bright, quiet, fully equipped Paris One Bedroom apartment rental located in the very elegant 16th arrondissement, 5mn walk from Place du Trocadero which faces the Eiffel Tower. 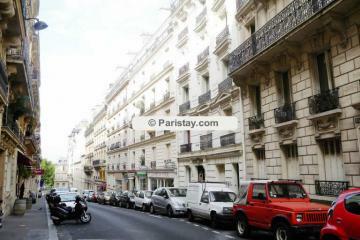 Welcome in "Les beaux quartiers", nickname of this chic and residential district. 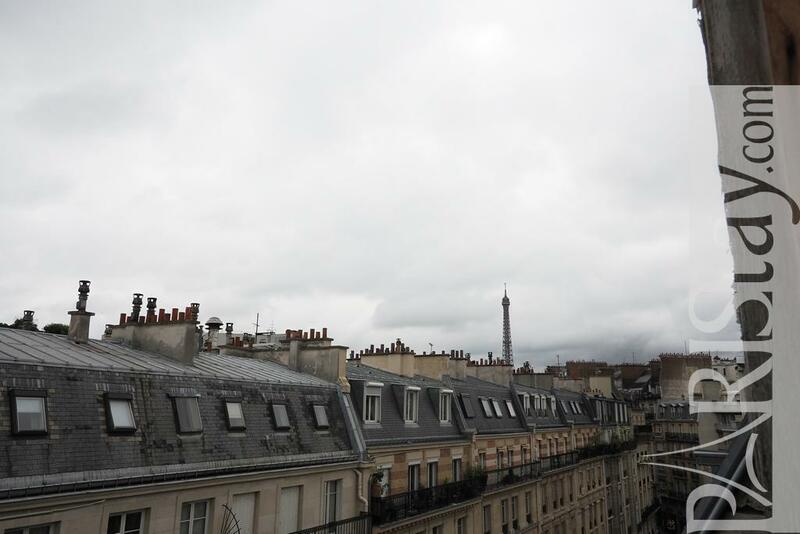 You will find everything needed for long term stays in Paris : clothing shops, food shops, french food shops, a typical open-air market for fruits, vegetables, cheese, meat, fish. 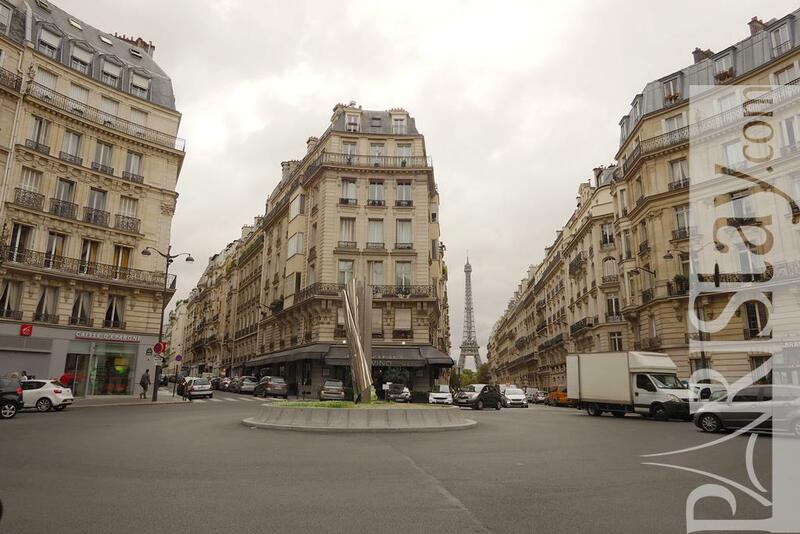 Convenient transportation links to go everywhere in town easily (metro Trocadero, bus line 52 and 63, Air France buses from Etoile Champs Elysées to CDG airport at 15mn). 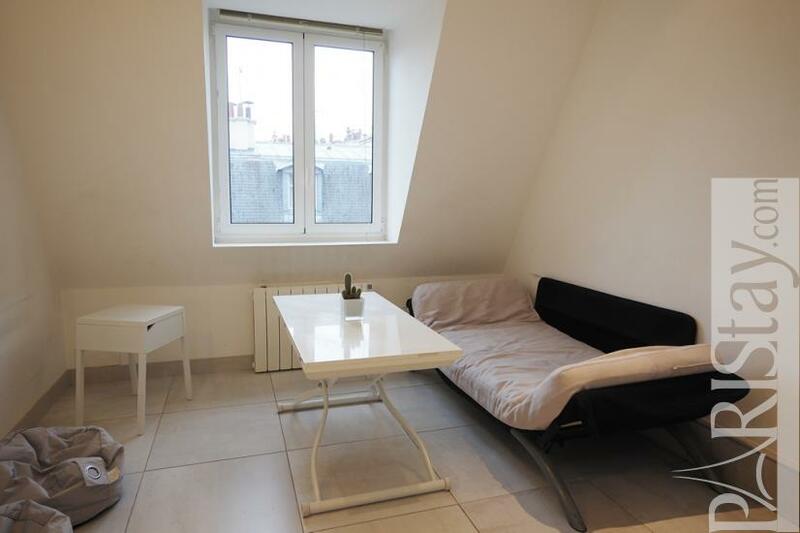 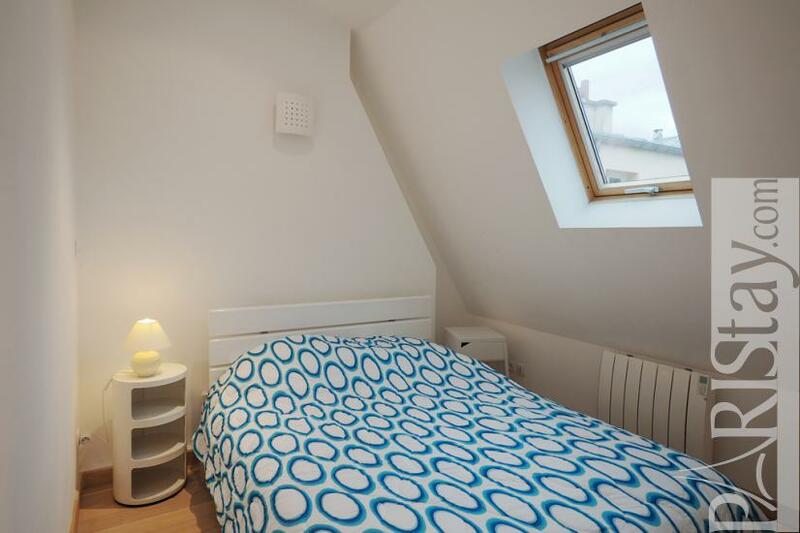 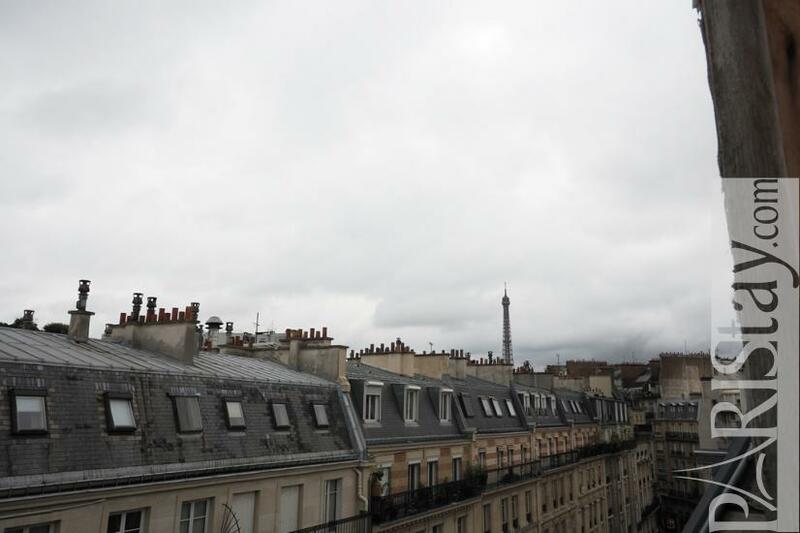 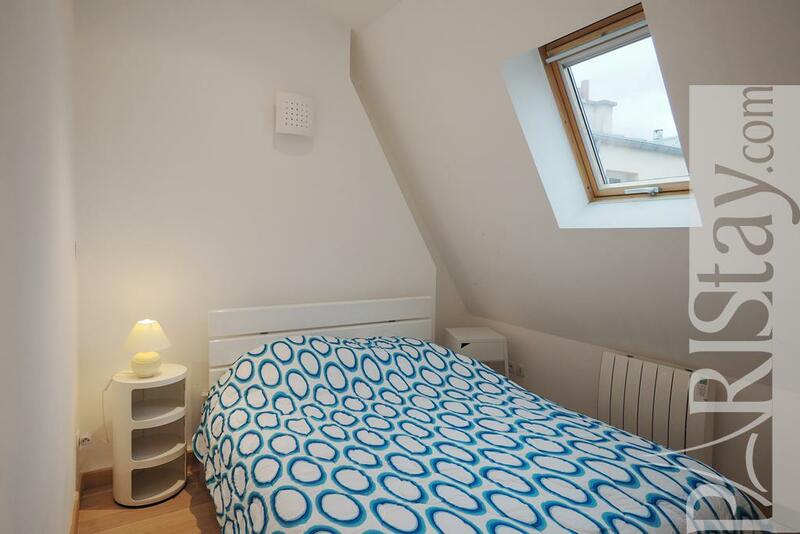 The apartment is situated in a family building, on 6th floor with lift, and offers a beautiful view on the top of the Eiffel tower and Paris rooftops.It has been totally renovated and newly decorated with quality equipment and furniture. 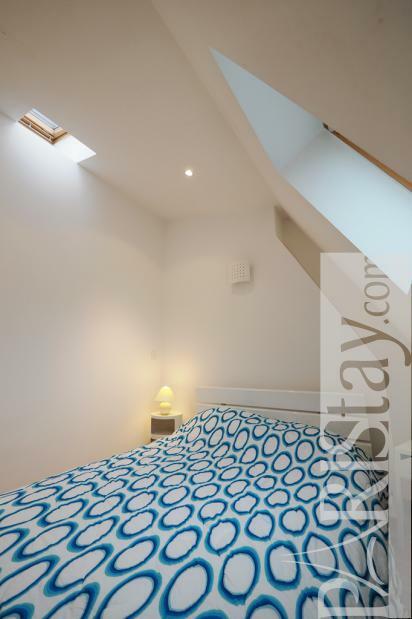 It presents a spacious and bright room designed in a loft spirit, which offers a cosy living corner with a sofa bed, and an open kitchen. 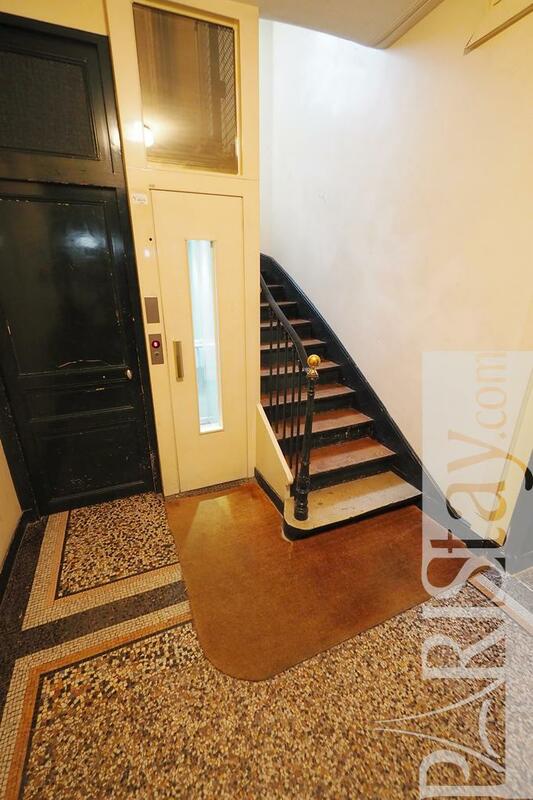 One door leads to a very quiet bedroom. 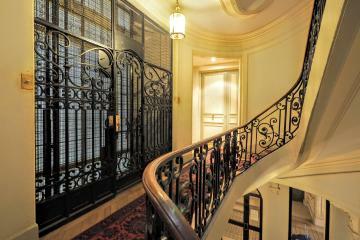 To be discovered asap. 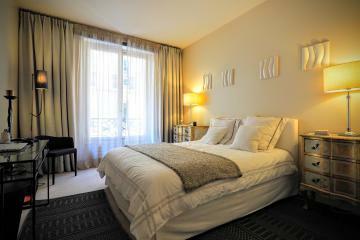 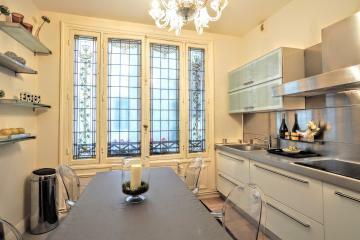 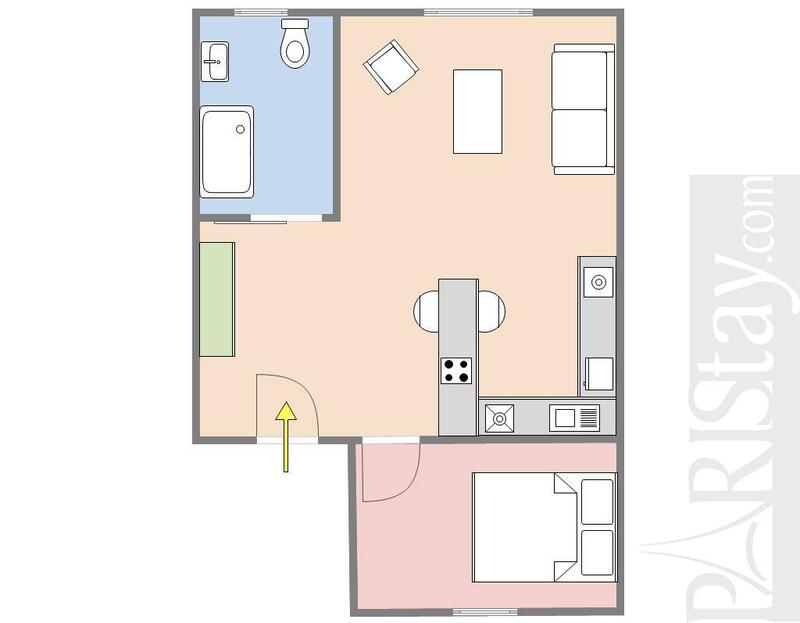 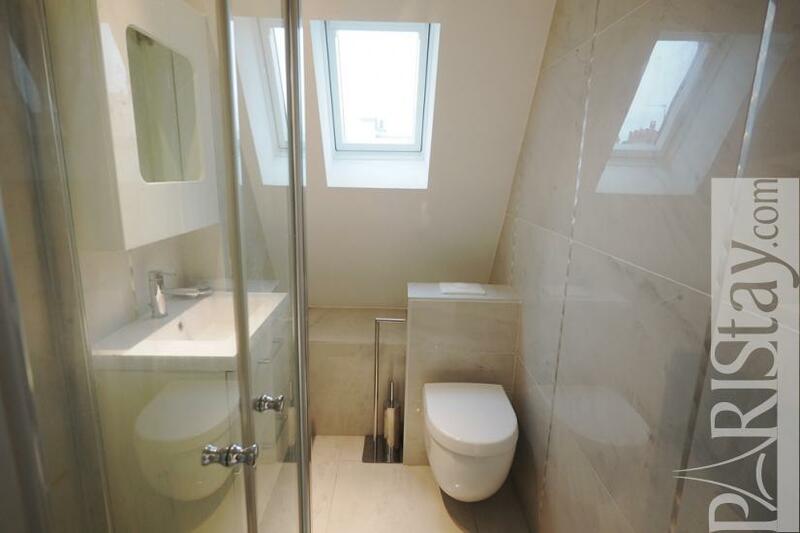 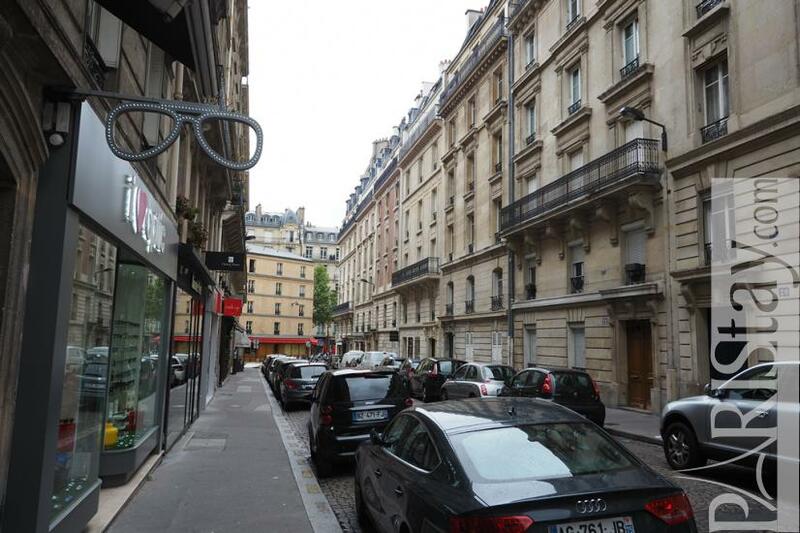 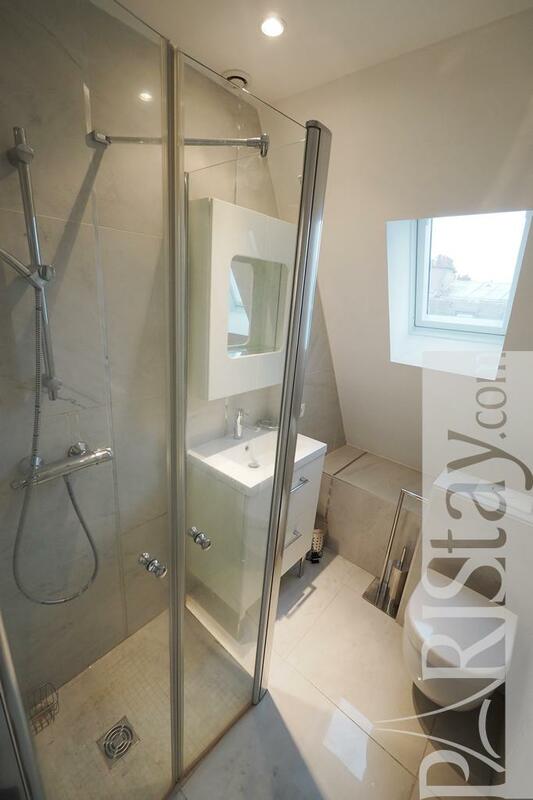 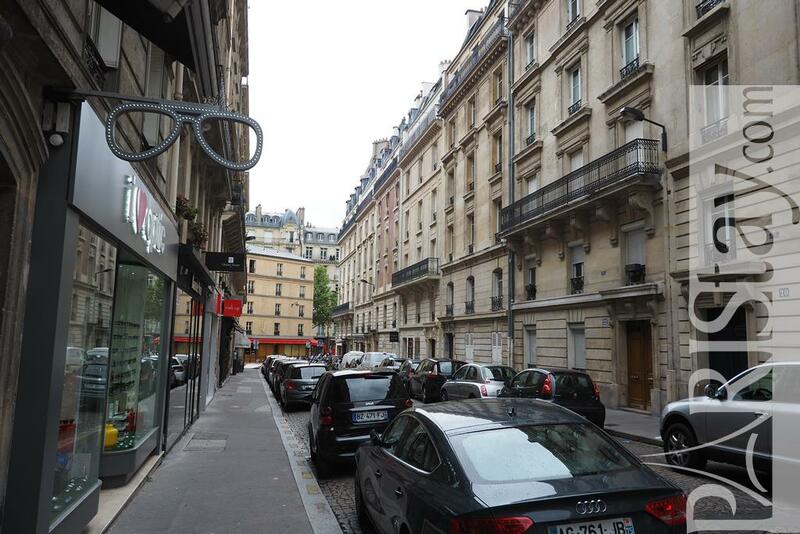 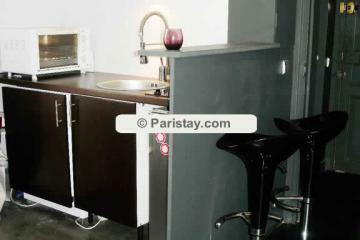 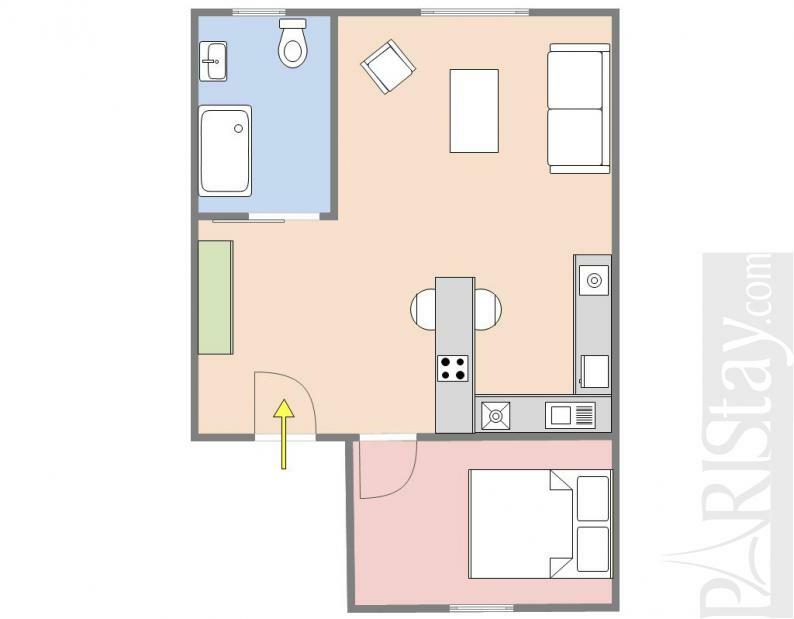 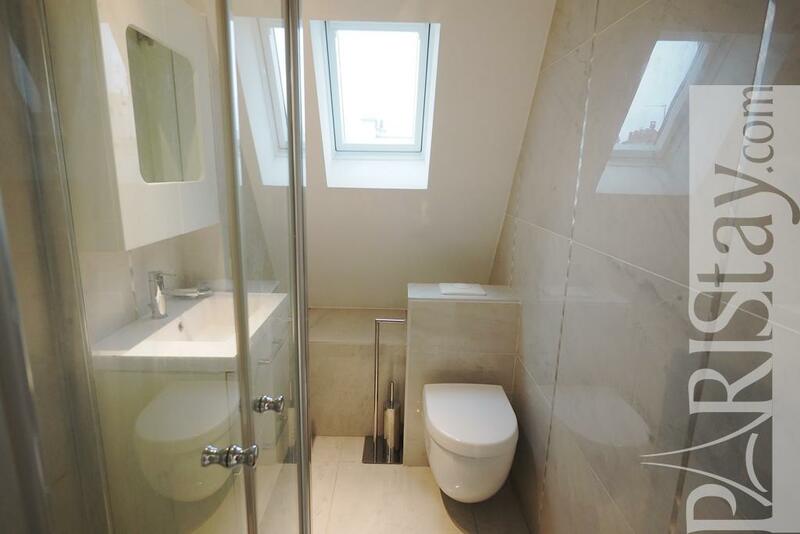 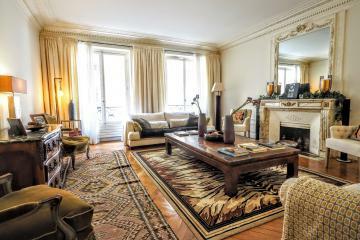 1880's Building, 6 rd floor, with Lift, 1 bedroom Appartement, furnished, Approx: 27m² / 290 Sq.Ft.